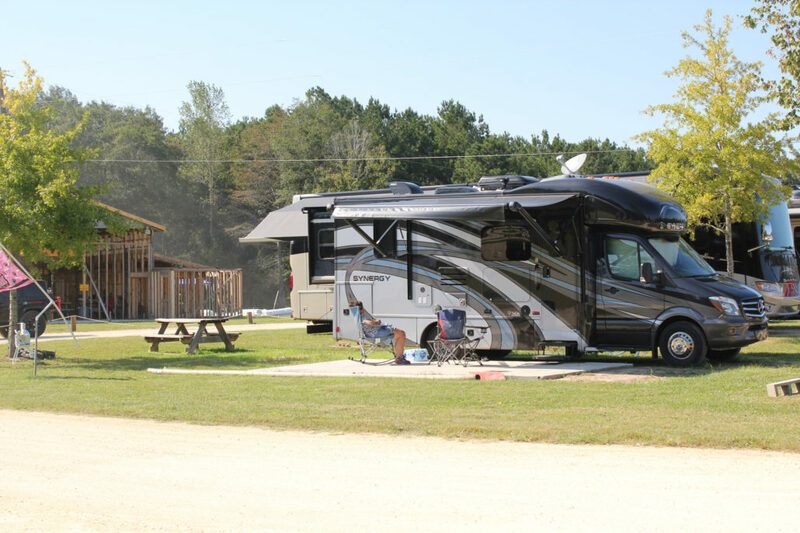 Spacious, fully equipped RV Sites, as well as cozy cabins and level tent sites, are available for our guests to enjoy. Our park offers beautiful serene settings, and is built for the true outdoor enthusiast. Check out our packages and rates below. Our park has 63 spacious, fully equipped sites that will accommodate any RV. We have both pull-thru and back-in sites. Each lot provides ample space for both an RV and a car. Every campsite has a picnic table and patio area, so you can enjoy the outdoors with your family & friends. Electric hook ups (50, 30 and 20amp), water, sewer, free Wi-Fi and cable tv are available at all our sites. Good Sam Park Members can save 10%. You can join while staying at Cypress Landing and start enjoying all the additional perks that membership brings. Please check in at our general store when you arrive. Check-in time is 2 pm and check-out time is 12 pm. 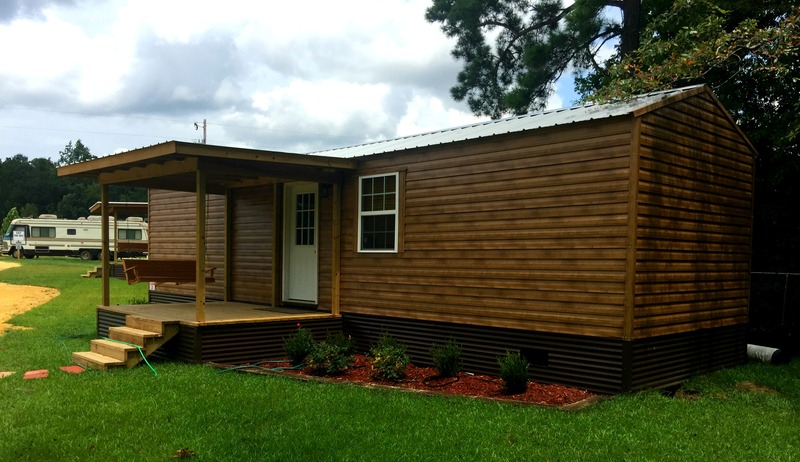 Two cozy cabins, equipped with all modern conveniences, are available for our guests without an RV. Both have two bedrooms and can accommodate up to 6 people. They are completely furnished with a well-equipped kitchen and a modern bathroom. All linens are also provided. Each unit has a flat-screen cable TV and Wi-Fi. The rocking chair and swing on the front porch invite you to sit and stay awhile. Please leave your pet at home, as they are not allowed in the cabins. 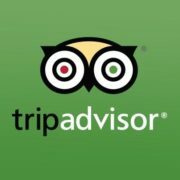 Check in at our general store when you arrive. Check-in time is 2 pm and check-out time is 11 am. 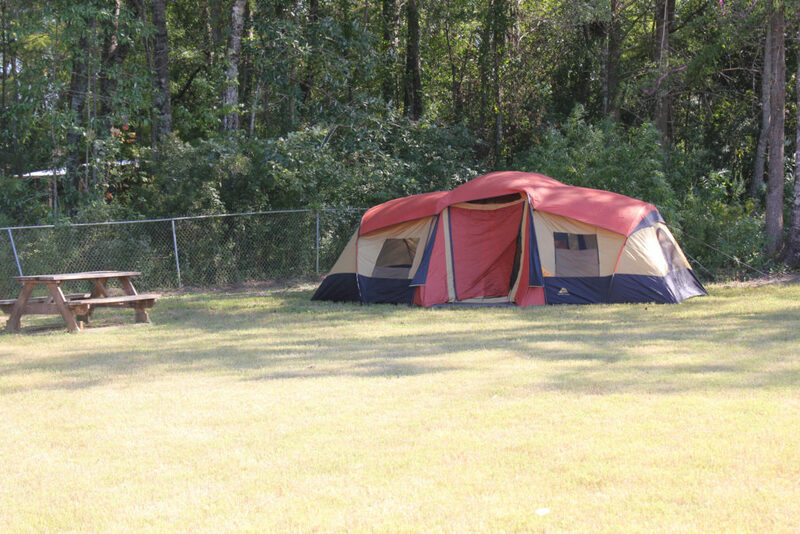 Spacious level tent sites are available for our tent camping guests. Each site includes a fire ring, so you can gather around the campfire and tell ghost stories or roast s’mores. Tent sites come with a picnic table, so you can conveniently sit down to eat. Each site has access to our modern, clean restrooms and showers. Are you new at tent camping and you don’t have a tent? We have free tents available. Call us for availability. Tent camping allows you to experience the sights, sounds, and smells of the great outdoors without the distraction of modern conveniences.